Commissioner Aguilar closes out his article by discussing some “unfinished business” he’d like to see addressed in the next year as well as some facts about his time as Commissioner. 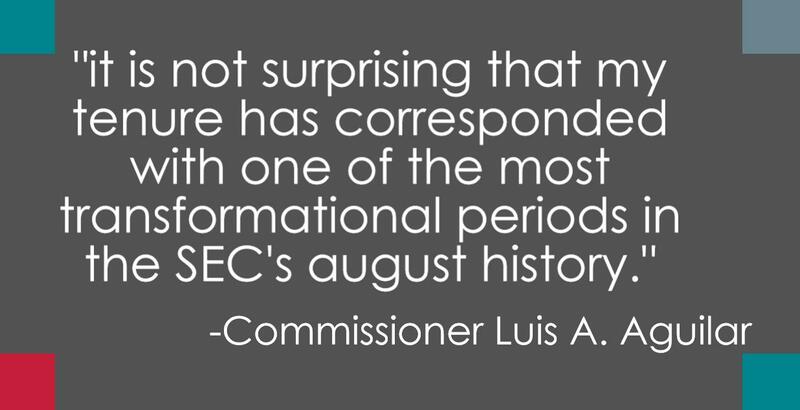 Much like Commissioner Aguilar has done with the SEC, the end of year is an optimal time to review your own firm’s policies and procedures. For more information contact Jacko Law Group at 619.298.2880 or info@jackolg.com.